This is Winchester 5.56 Q3131 55gr. M-193 Full Metal Jacket Ammo. 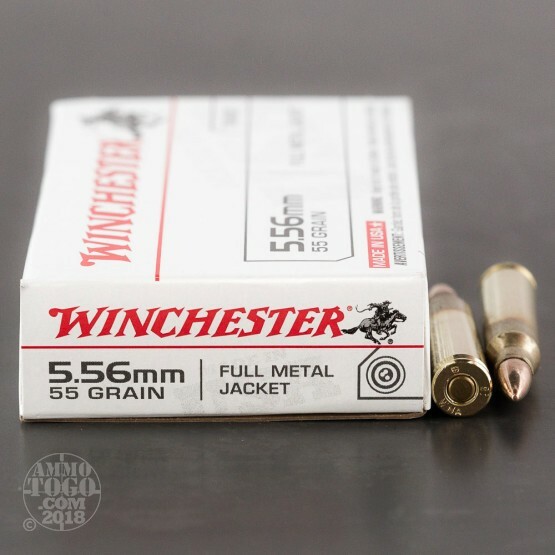 This ammo is manufactured by Winchester to M-193 U.S Military Spec's. It is brass cased, boxer primed, non-corrosive and 100% new factory ammo. This is some great ammo to blast with. It is clean and reliable. This ammo is packed in 20rd. boxes. Muzzle Velocity: 3270 fps. posted on 7/17/15 by ROB R.
The Q3131 is very good ammo, just wish i could buy it in a bulk discount Qty like 1000 rounds..? 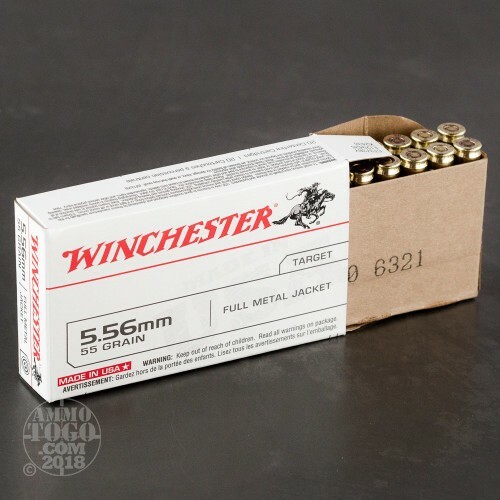 Bought a bunch of this ammo and so far so good. No fte or ftf, accurate, and made in the USA. Sure it's a lil more expensive but not that much more to know your dollars stayed here at home. I've been pleased by how ATG.com ships and the quickness they get it to me. Hopefully this new production ammo does not have all problems seen before in the Q3131 (USA) ammo. 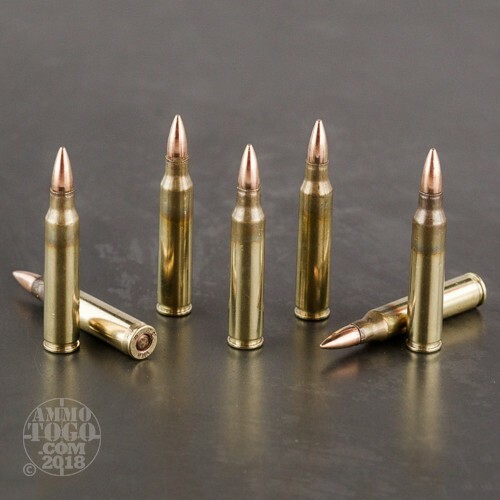 The Q3131A1 (South Korea) has had excellent reviews and the Winchester Q3131A (Israel) was hands down the best M193 spec ammo ever produced (sorry Lake City). I've shot tons of the 3131A1 with no problems now lets see if the made in USA can get it right this time. 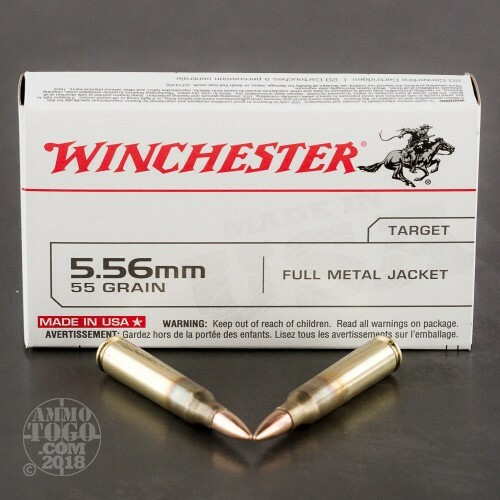 Great 5.56 FMJ ammo. Very accurate, great brass, and the Q3131 is made in the U.S.A (some other variants are made in other countries ie: Q3131A1 is made in Korea by PMC). MUST own a 5.56 rifle, in a .223 you will have overpressure problems that will damage your gun and possibly yourself.